Sky will continue to offer channels from A+E Networks as part of a new long-term deal covering all countries that Sky operates in. A+E Networks operates channels including History and Lifetime. The deal means UK viewers will continue to be able to access programmes such as Ronnie O’Sullivan’s American Hustle and Britain’s Next Top Model. In addition, A+E Studios’ acclaimed re-imagining of iconic TV series Roots comes to History in the UK this summer, following its recent premieres on History in Italy and Germany. 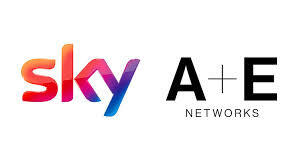 The new deal also enables Sky customers to access A+E Network’s brands and content via non-linear platforms, including what it calls "enhanced content offerings" through Sky Go in the UK and Germany. Sky has been working hard to cement long-term distribution agreements with broadcasters, with increased emphasis on including on-demand content and the rights to distribute content on mobile devices, as it attempts to shore up its pay TV basis against rising competition. So far this year, Sky has made deals with Discovery, UKTV, NBCUniversal and A+E Networks.